Heat oven to 375° F. Grease 8-inch square pan. In large bowl, beat egg white, butter, brown sugar, canola oil and vanilla with spoon until creamy. Beat in flour, baking powder and baking soda. Stir in granola. Press about two-thirds of the dough in bottom of pan. Spread spreadable fruit over dough to within 1/2 inch of edges. Crumble remaining one-third of dough on top of the fruit. Bake 25 to 30 minutes or until golden brown and set. Cool completely, about 30 minutes. For bars, cut into 4 rows by 4 rows. 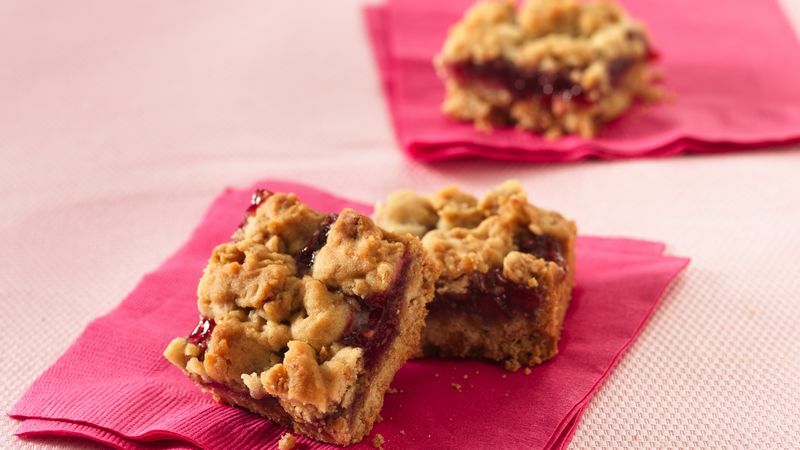 We've suggested raspberry fruit spread for these bars, but you could use any flavor that you like.